This was my first attempt at making Caramel Shortbread and I think it turned out pretty well. Step One // Preheat your oven to Gas mark 5 or 190 C and grease a baking tray. 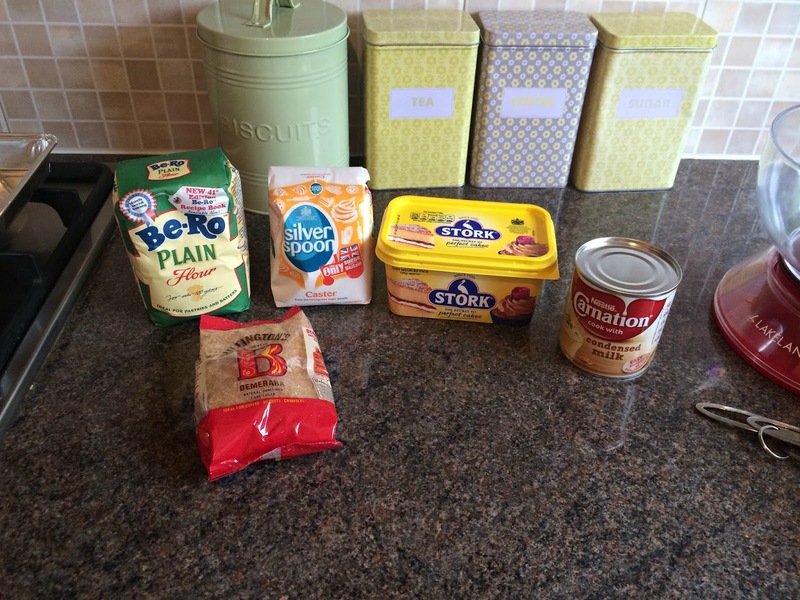 Step Two // Combine all of your base ingredients (butter, flour, sugar) into a bowl and create a dough. Step Three // Press the dough into the tray and place in the oven for 20 minutes. Once baked allow to cool. Step Four // Whilst your base is cooling, pour the condensed milk, butter and brown sugar into a pan. Allow this to boil and then boil gently for a futher 5 minutes - make sure you continue to stir the mixture to ensure it does not burn or stick to the pan. Step Five // Pour the topping over the base and allow to cool. Step Six // Melt your chocolate either in the microwave (in about 10-20 second intervals stopping to stir it) or over a pan. Then pour this over your topping and allow it to cool. Step Seven // Once cool, cut into squares. And there you have a simple but delicious recipe for the perfect Caramel Shortbread.